Welcome all ye who seek adventure as only the RAVENQUEST series can deliver. Here you will find the latest news about what is going on in Terra Zem. Here you can ask questions, interact with the author and other fans, hear about special offers and more. RAVENQUEST could possibly be the most exciting and original fantasy/fiction series you have ever read. It is original. The adventures are unique. The characters and mythology are original. It is a world like no other. RAVENQUEST takes place in the world of Terra Zem with the chief character Raven who has left his village of birth due to all the in-fighting, so-called progress with no regard for those it affects or what kind of world is being left for future generations. He lives very comfortably and simply off the land surviving with the companionship of two wolves, Altair and Alkula and their pups and a feisty, mischievous bobcat named Platis. One day he meets a female named Leolas who has also struck out on her own trying to fight off a bear that is determined to kill and eat her. Raven rescues her and they fall in love. Leolas is given a name of purpose by Raven and becomes known as Skyeyes. They have a great and a simple life then one day they discover a sword in a cave as well as some other items and their life is changed forever. Their adventures take them all over Terra Zem and they meet many creatures and become the heroes of Terra Zem. 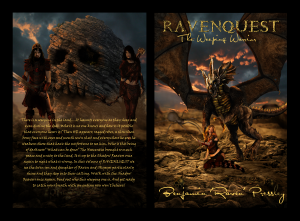 Raven has completed writing Book 7 of the exciting RAVENQUEST series. It is entitled THE WEEPING WARRIOR. 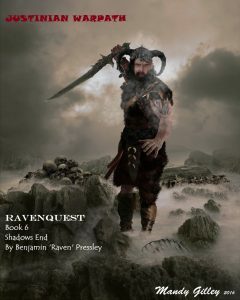 This latest volume in the series will not disappoint the readers and fans of RAVENQUEST. It is full of excitement and new characters and exciting news about the continuation of the series at the end. You don’t want to miss Book 7. DUE OUT IN DECEMBER 2016! 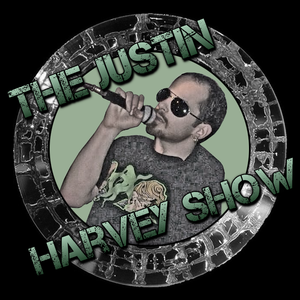 Justin Harvey. He has a radio show. He was inducted into the USA Martial Arts Hall of Fame. He has interviewed many of the greats in martial arts, wrestling and action movies as well as many others. You will love the character I built for him, WARPATH. Warpath is an ancient warrior of the Strixus. I will let Warpath introduce himself. “I am Justinian Warpath. My people are the Strixus. To understand our history I must take you back to a time before our great reformer, Yuma Flameseeker. Before him our history is nothing but that of the warrior and the battle. From very young every child’s games and waking moments were filled with thoughts of war; their every game was only preparation for war. Even as early as seven Solaris every child was taken from their homes and trained to be warriors or die on the battlefield in their weakness. At twenty Solaris they were required to leap into a pit of ravaging hungry lions with only one other warrior and a spear for each of them. They had to kill every beast or die trying. Any child that was born with what they considered a deformity or any diminished physical or mental capacity were to be discarded even as a baby. Such were the ways of the Strixus under Kaga Bloodshield. Warpath travels with the Shadow Reavers throughout this book and he and his brother in arms, Boneyard have many great adventures and battles you don’t want to miss reading about. 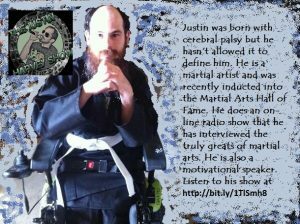 Thanks Justin for your continued inspiration to so many. 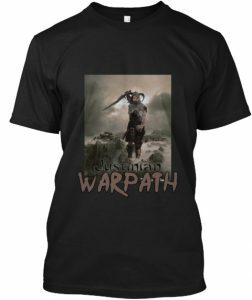 BUY A T-SHIRT WITH WARPATH ON IT! Did you know you could listen to the entire first book of the RAVENQUEST series for FREE? It’s True! Just click on the book icon! 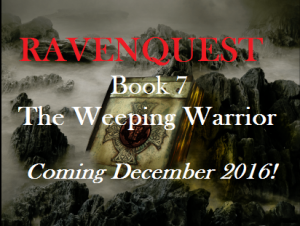 Are you ready for a sneak peek at the cover for book 7 of RAVENQUEST: THE WEEPING WARRIOR? There is a weeping in the land….It haunts everyone as they sleep and even during the day. Who it is no one knows and how is it possible that everyone hears it? Then HE appears; ragged robes, a shrunken bony face with eyes and mouth sewn shut and everywhere he goes he weakens those that have the misfortune to see him. Who is this being of darkness? What can be done? The Nascentia brought so much peace and unity to the land. It is up to the Shadow Reavers once again to right what is wrong. In this volume of RAVENQUEST we see the twin son and daughter of Raven and Skyeyes particularly shine and they step into their calling. Walk with the Shadow Reavers once again. Find out who this weeping one is. And get ready to catch your breath with an ending you won’t believe! COMING OUT DECEMBER 2016!